Toronto, Ontario (FSCwire) – BeWhere Holdings Inc. (TSXV: BEW, OTCQB: BEWFF) (“BeWhere” or the “Company”) is pleased to announce that it has closed its’ first tranche of the non-brokered private placement of Common Shares by the issuance of 6,165,000 Common Shares at a price of $0.30 per Common Share for gross proceeds of $1,849,500. The net proceeds of the private placement, plus existing cash and other working capital, will be used, in part, to fund the commercialization of the Company’s new NB-IOT and LTE-M Mobile IOT environmental sensing and asset monitoring solutions and for general working capital purposes. The Company expects to launch the new products and provide them to existing partners and resellers in the fourth quarter. Toronto, Ontario (FSCwire) – BeWhere Holdings Inc. (TSXV: BEW, OTCQB: BEWFF) (“BeWhere” or the “Company”) is pleased to announce that, due to unanticipated demand for its non-brokered private placement which was announced September 18, 2017 (the “Offering”), it has decided to increase the offering from 7,000,000 common shares at $0.30 per common shares to 7,165,000 common shares for gross proceeds of $2,149,500. The increase to the Offering is subject to final TSX Venture Exchange acceptance. The common shares will be subject to a four-month hold period. The Offering is scheduled to close on October 5, 2017. Toronto, Ontario (FSCwire) – BeWhere Holdings Inc. (TSXV: BEW, OTCQB: BEWFF) (“BeWhere” or the “Company”) an Industrial Internet of Things (“IIOT”) solutions company announces that it proposes to offer by way of a non-brokered private placement up to 7,000,000 common shares (“Shares”) at a price of $0.30 per common share to raise gross proceeds of up to $2,100,000 (the “Offering”). Finders’ fees will be payable in cash in the amount of 6% of gross proceeds from the sale of common shares sold to subscribers introduced by the finders. The Finders’ fees may be payable on all or portions of the private placement in accordance with policies of the Exchange. Toronto, Ontario (FSCwire) – (TSX-V: BEW, OTCQB: BEWFF) (“BeWhere” or the “Company” an Industrial Internet of Things (“IIOT”) solutions company that designs and sells hardware with sensors and software applications to track real-time information on movable assets. The company develops mobile applications, middle-ware and cloud based solutions that stand-alone or that can readily integrate with existing software, today announced its financial results for the second quarter ended June 30, 2017. Toronto, Ontario – ( June 28, 2017) –– HUAWEI, together with BeWhere Inc., a Canadian industrial Internet-of-Things (IoT) solutions company, today announced they will partner to develop Mobile IoT Low Power Wide Area (M-IoT LPWA) (NB-IoT, LTE-M) applications to enable the deployment of smart cities technologies. This is the first partnership in the Canadian M-IoT ecosystem between a solutions company and HUAWEI to develop viable solutions that utilize the latest technology in M-IoT LPWA. As a global leader in Information and Communication Technology (ICT), HUAWEI encourages industry ecosystem development by seeking out companies such as BeWhere to foster healthy partnerships. TORONTO, ONTARIO–(Marketwired – June 16, 2017) – BeWhere Holdings Inc. (TSX VENTURE:BEW)(OTCQB:BEWFF) (the “Company“) announces that the Company has entered into consulting agreements with consulting companies of two executive officers pursuant to which one of the terms is that, in consideration of the consulting companies entering into the consulting agreements, the Company has agreed to issue, in lieu of cash, 250,000 common shares to each consulting company at a deemed issue price of $0.1875 per share for an aggregate amount of $46,875. The consulting companies are owned by Mark Kohler, the Chief Financial Officer and Secretary of the Company, and Gregory Cameron, the Executive Director of the Company. Toronto, Ontario–(Newsfile Corp. – June 13, 2017) – BeWhere Holdings Inc. (TSXV: BEW) (OTCQB: BEWFF) (“BeWhere” or the “Company”) today announced that its Chief Financial Officer, Robert Allen, has resigned his position and Mark W. Kohler, a current member of the board of directors and chairman of the audit committee, has accepted the position on an interim basis effective immediately. Mr. Kohler has also agreed to be the corporate secretary for the Company. Mr. Allan has agreed to assist in a smooth transition of duties to Mr. Kohler. 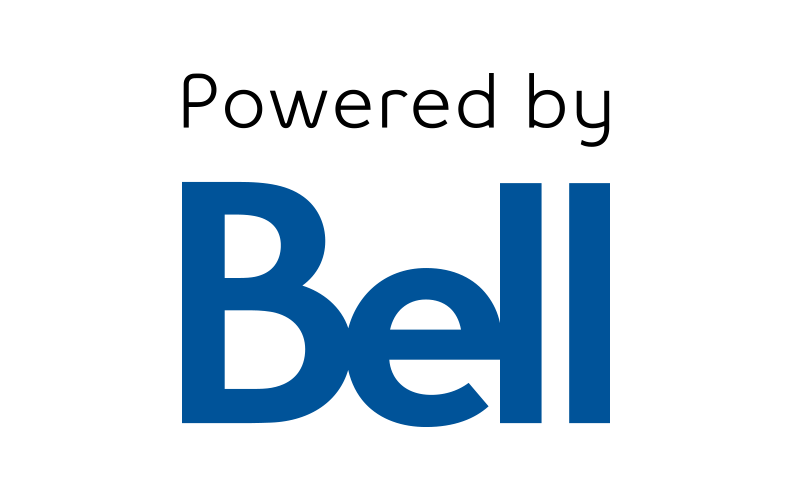 Toronto, Ontario–(Newsfile Corp. – June 1, 2017) – BeWhere Holdings Inc. (TSXV: BEW) (OTCQB: BEWFF) (“BeWhere” or the “Company”) – Bell today announced it will launch an LTE-M (Long Term Evolution, category M1) network to support the rapidly increasing use of Internet of Things (IoT) devices on low-power, wide-area networks (LPWANs) in Canada. TORONTO, ONTARIO–(Marketwired – May 24, 2017) – BeWhere Holdings Inc. (TSX VENTURE:BEW)(OTCQB:BEWFF) (“BeWhere” or the “Company”) a Company that designs and sells patent pending Bluetooth beacons, mobile applications, middle-ware and cloud based solutions when combined, provides users with real-time information on the condition and location of their items in transit or at facilities, today announced its financial results for the first quarter ended March 31, 2017. TORONTO, ON, May 15, 2017 – BeWhere Holdings Inc. (TSX-V: BEW, OTCQB: BEWFF) (“BeWhere” or the “Company”) today announced that it has signed an agreement with Aphria Inc. (“Aphria”) (TSX: APH or USOTCQB: APHQF), one of Canada’s largest and lowest cost producers of medical cannabis, to provide asset management solutions throughout its facilities.